Are you one of the billion+ users on Instagram? More than 500 million accounts are active every day and Instagram is the fastest growing social media network right now. 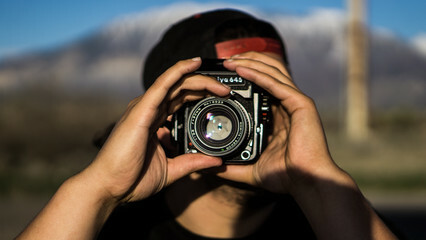 If you aren’t already displaying Instagram feeds on your website, NOW is the time to get started. Have you already embedded social media feeds on your website? How do I add an Instagram Mentions feed on my website? 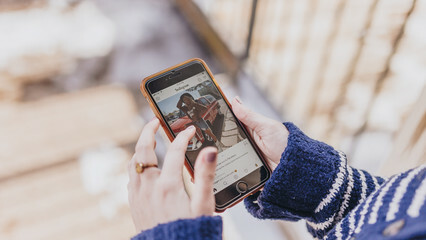 When someone shares a public post mentioning your Instagram business account or tags your business to an image, Flockler will automatically catch that and either display on your website's social media feed or store to your inbox waiting for your approval. Create an Instagram business account. Create a feed of Instagram Mentions. Copy & paste an embed code on any digital service. 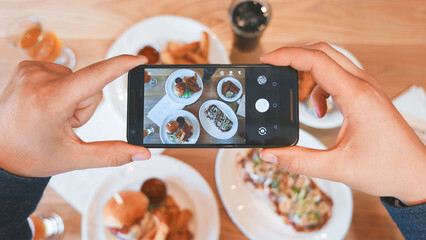 Do you already have an Instagram business account connected with your Facebook Page? Move on to step 2. You change any account to a business version on the Instagram app (detailed instructions). Then go to your Facebook Page settings and click Instagram on the left to connect your Instagram business account to your Facebook Page. Login to Flockler and click 'Automated Feeds'. 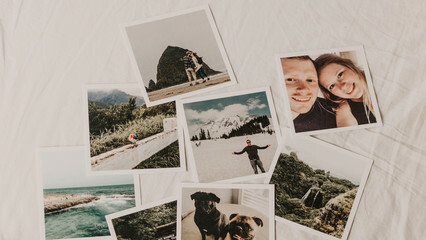 Connect your Facebook account (connected to your Instagram Business account on step 1). Select if you'd like to display your Instagram posts and mentions of your account. Save the feed and move on to step 3. In addition to automated social media feeds, you can also store content for moderation and pick content one-by-one. Navigate to “Embed codes” after logging-in to Flockler. Then copy and paste the code and embed on any digital service. 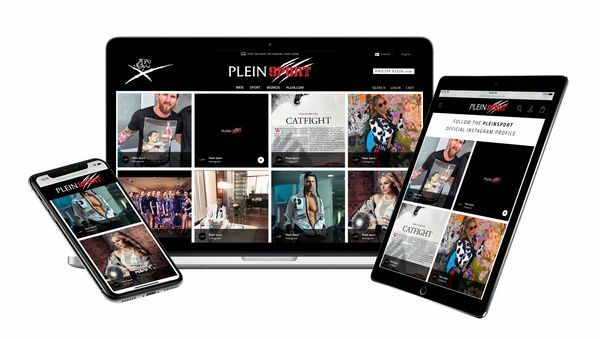 The layout of the social wall is automatically optimised for mobile, tablet and desktop, and you can customize its styles to match the look and feel of your brand. There’s also an option to block content posted by a specific user - or content mentioning certain keywords. You can set up blocked usernames and keywords by navigating to ‘Automated Feeds’ after login. Have you already signed up for our 30-Day Free Trial and displaying social media feeds on your website? Set up in a few minutes. No credit card required. Why should I ask customers tagging our business account? I can come up with dozens of reasons but let’s start with the three most important ones. First, word-of-mouth is the most effective way of marketing. It always has been - and social media channels amplify the positive messages even further than traditional communication channels. Displaying social proof from your customers will increase conversion rates too. Second, mentions of your social media account will increase your brand awareness and reach further than any of your branded posts. If you don’t believe me, perform a test with your brand account and with personal accounts of a small group of your employees. People listen to people. 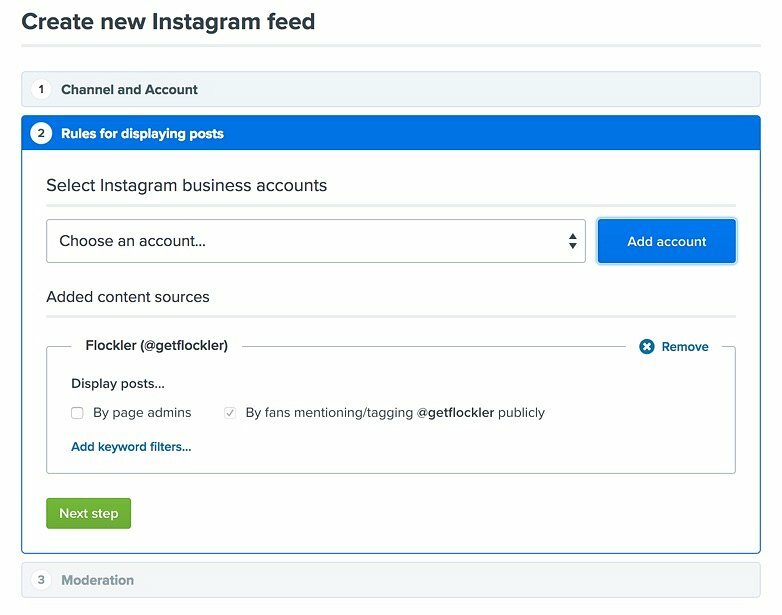 Last but not least, mentions will bring new traffic to your Instagram profile - when friends of a customer click your account name to find out more. Even if the person visiting your profile wouldn’t start following you immediately, here comes a killer benefit compared to hashtags: you can use the data of profile visits to create Custom Audiences on Facebook and serve targeted advertising. It will be so much easier to grab the attention of a user on Facebook when they remember seeing your brand before in a friend’s posts. What a fantastic way to gather new leads and improve conversion rates of advertising! But how do I get people to tag my account, I hear you asking. Don’t worry; we’ve gathered four inspiring tips to get you started. Now and then I meet businesses who say their customers aren’t talking about them on social media channels. My instant reaction is: have you asked? Let's be straight; often we buy stuff just to make us look better. Tap into that and ask your customers to share their experiences and feedback by mentioning your Instagram account. Maybe a social media ad with a call-to-action? If they’ve purchased your product online and you’ve added a Facebook Pixel to your confirmation page, you’ll be able to target them with Facebook advertising. Place a call-to-action to your email newsletters. Or write a witty note inside a purchase order confirmation – an old-school letter with the delivered box might be standout too. Embed stories from customers to your webshop and encourage others to post their experiences too. 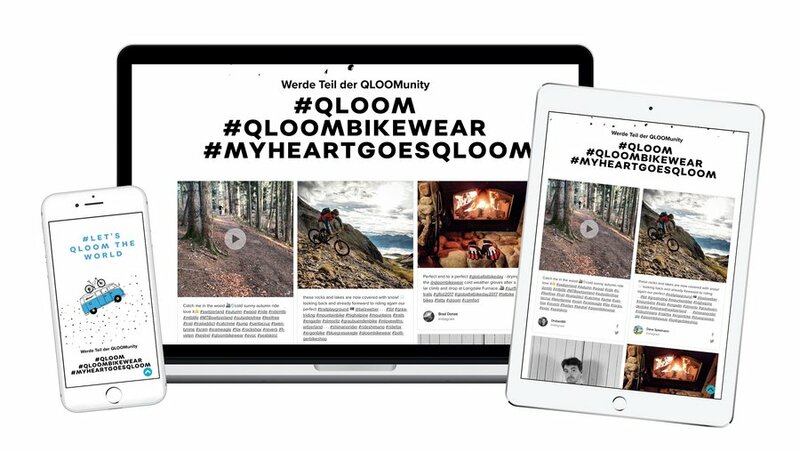 For inspiration, check how GlassesUSA has created a social shop with their engaged community of customers. Employees are an often-forgotten yet such a powerful resource for the marketing team. If you’re not able to get your employees excited about the company, what would be the silver bullet with customers? Instead of haunting the silver bullet, create an employee advocacy program encouraging employees to share. I love the story of Valio, one of the largest dairy producers in the Nordics, where the marketing team has been able to inspire farmers to share the daily life from the countryside. I don't want to take anything away from farmers, but if Valio’s farmers have created more than 10.000 posts on Instagram, you shouldn’t have a hard time setting up your own employee advocacy program. Get started with the most active and engaged social media users of your team and roll out to the rest of the company in steps. Recently we listed six tips to help your employees build engagement on social media. Have you created contests on social channels? 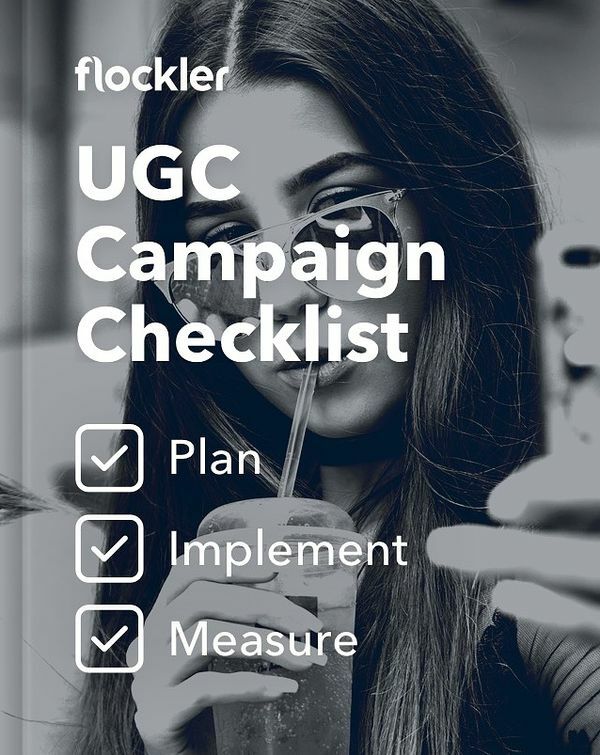 When planned carefully, and aligned with your overall marketing goals, they’re a great way to increase the reach and engagement on social channels. For inspiration, read our tips on how to run a successful Facebook competition. Ever walked into a fashion shop and seen a pair of animal ears taped into a mirror? Did you have a weird desire to take a selfie? These kind of 'selfie spots' are created with a purpose. If you have physical places where your clients go, think about how you could turn some of those corners into Instagrammable spots. In addition to selfie spots, create other materials that just scream “photograph me”. Stickers, personalised coasters, signs, wearables – whatever you can think of. Would you like to see a social wall in action? Visit our latest case studies to learn how leading brands create user-generated content campaigns. How UGC is being used on Instagram and why should brands pay attention to it on this social channel? Here we take a look at what is driving this trend and give you some tips on how to get started.